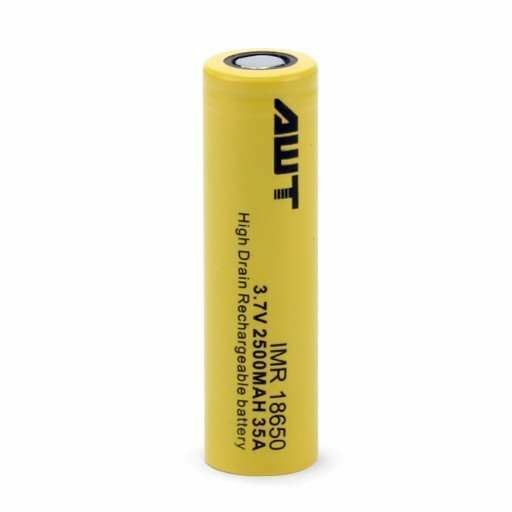 AWT 18650 is small but packed with massive 2500mAh power and huge 35A high AMP for high drain. For all Sub Ohm boys this is the battery you want. Don't get it wrong, it is tiny battery with lot of grunt to fire at 35A high amp. Above all, AWT is worlds top selling battery in Lithium Ion Manganese Oxide Battery (IMR). AWT 18650 Battery measures 18.20mm wide diameter and 65mm length.